Are you looking for a way to increase your giving to our Tree of Lights Campaign without disposing of additional cash? Does the idea of receiving a double tax break when you donate to The Salvation Army sound appealing? Consider making a gift of appreciated securities. Amid the current economic uncertainly in the United States and Europe, the U.S. stock market is in flux and the week of November 28 was no exception. All three major averages posted a gain of over 7 percent last week yet stocks erased most of their earlier gains on Friday to finish near the flat-line as investors booked profits before last weekend. Meanwhile Europe’s sovereign-debt crisis, which has dragged on for more than two years, is entering a pivotal week, as leaders across the continent converge to prevent a collapse of the euro and a financial panic from spreading. Following economic news developments is important but nothing is more crucial today than making a difference through a donation of appreciated securities to The Salvation Army. By gifting appreciated stock or mutual funds to our Tree of Lights campaign, you could potentially save $1,000 in taxes on a $5,000 donation. The benefits of appreciated stock gifts are two-fold: receive a charitable deduction and avoid capital gain tax treatment. This gifting approach often allows more “bang” for your charitable buck! First, gifts of appreciated securities are eligible for an itemized charitable deduction on your tax return — the same as a cash donation. Instead of deriving the amount of the charitable deduction from the amount of cash given, the charitable deduction is calculated based on the Fair Market Value (commonly known as the “FMV”) of the number of shares given to The Salvation Army on the date of gift. Second the gift of appreciated stock allows you to escape recognizing capital gain treatment of the shares. Please ensure the appreciated stock you select has been held for more than one year and consult with your financial planner or CPA to decide if this gifting strategy is right for you. If you would like to make gift of appreciated securities before December 31, you or your broker may call our office at 314-646-3016 or 314-646-3019 and ask for Tim Henry (timothy_henry@usc.salvationarmy.org) or Tom Kovach (tom_kovach@usc.salvationarmy.org). In the Sunday’s Business edition of The St. Louis Post-Dispatch, the headline reads: Worthy charities earn Scrooge’s nod. It was written by Jim Gallagher, a well respected columnist for the newspaper. 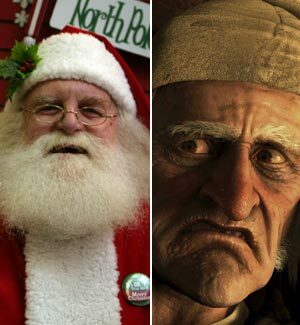 Mr. Gallagher starts the article off by saying the older he gets, the more like Scrooge he becomes. He takes this approach to charity for 11 months of the year. Our promise to you is to continue to be accountable and transparent. Eighty two cents on the dollars is distributed to programs and services in the St. Louis area and The Salvation Army takes a tremendous amount of care with your investment. For example, the area that I specialize is major gifts and they come in all sizes from corporations to individuals and the best way to describe the collage of our donors was at the recent Tree of Lights kickoff luncheon. A potpourri of donors were present- Edward Jones, St. Louis Design Alliance, St. Louis Equity Fund, AT&T, Albert Arno Heating and Cooling just to name a few. New and current Salvation Army Midland Division board members mingled with guests. This event was a mixture of brand new investors to The Salvation Army and our dear friends who have supported The Salvation Army for many years. Whether you are a first-time donor or you make your gift in December each year, I highly encourage you to open and read prior testimonies from our social media pages to actually see how we make a difference in people’s lives! The Salvation Army is a charity that really does what we promise. Read what we do from these moving stories written by our Contest Specialist Danni Eickenhorst, officers and staff members, then decide at what level you think we are worth—it can be $50, $100, a dollar a day ($365), $2,500, a gift of stock, IRA contribution or much more. You will find and rest assured your donation to The Salvation Army – no matter at what level– to be a positive, uplifting return on investment for the St. Louis region.